Have you ever thought about the quality of the air that you breathe? You might not be able to see the different kinds of pollution with the naked eye, but this does not mean it is not there. An air filter will go a long way in making sure that each breath that you inhale is free from pollutants, allergens, and other kinds of unwanted elements. Permatron is a name that should ring a bell, considering how it has been offering both custom air filters and air solutions for nearly six decades now. This ensures they have the relevant experience and expertise, backed up by quality products that will help you breathe better — and essentially, live better. Permatron has laid down a marker by not compromising on the quality of air filters on offer, which range from washable electrostatic air filters to custom designed air filters, equipment protection screens and commercial & industrial air filters. The PreVent® air filter screen is a viable option from Permatron if you would like your office or building to have the best possible indoor air quality. 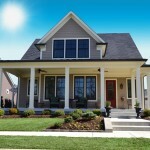 Why Use PreVent Air Filter Screens? The answer is simple — prevention is better than cure. With PreVent air filter screens installed on the outside air intakes of your building, you can be sure that everyone will be able to breathe better with a minimal amount of maintenance required. 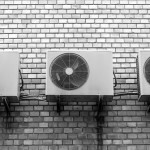 After all, environmental elements over the course of time will end up obstructing the intake air flow of any building’s air conditioning system, so making sure you have the right kind of air filter screens installed in the first place is imperative. 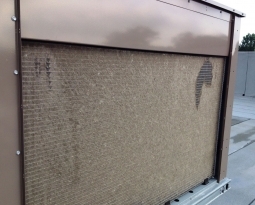 Not only will a good air filter screen make sure that the larger unwanted contaminants don’t get into the building’s air system, it will also help increase the life of the equipment and interior air filter bank within as dirt and dust build up is prevented right from the very beginning. When high efficiency interior air filters become clogged with large particles, the system has to work harder to push the same amount of air through as before to capture the smaller particles that the air filters were originally installed to capture. 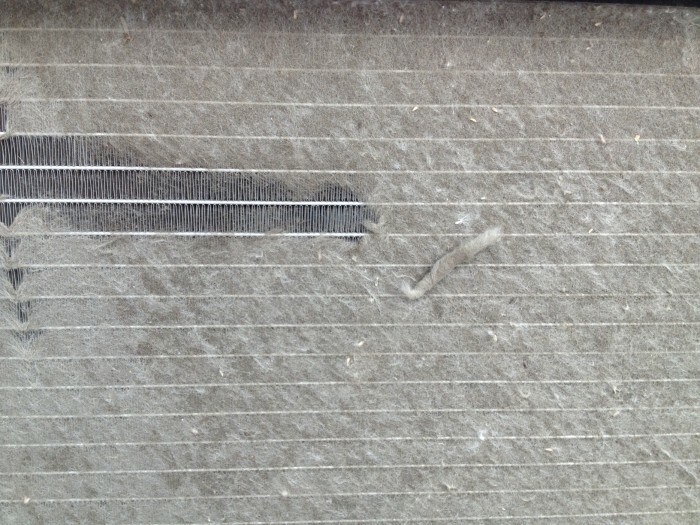 More frequent high efficiency air filter change-outs can add up. When budgets get tight, the first thing cut back on is maintenance, and an easy thing to do is reduce the frequency of filter changes. 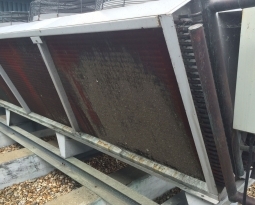 It comes across as no surprise that many building management staff seem to forget to maintain the air intake fin coils that tend to be located on roof tops or other hard to reach locations. 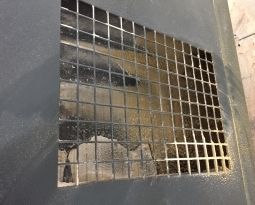 An obstructed air inlet will eventually result in high repair bills or malfunction headaches since the likes of cottonwood, construction dust, hail and industrial processing dust can damage the building’s refrigeration compressor and other HVAC equipment. 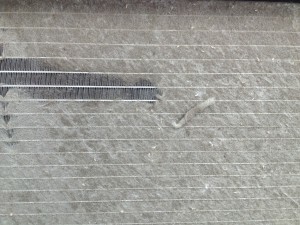 With every single piece of equipment regardless of its size requiring maintenance at scheduled intervals — be it stationary or mobile, or placed indoors or outdoors, it makes perfect financial sense to have PreVent air filter screens in place as a pre-filtration option. 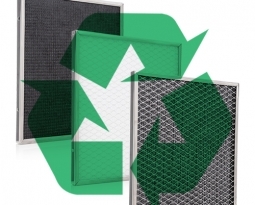 Depending on the kind of needs that a building requires, various PreVent air filter screens are available to choose from. 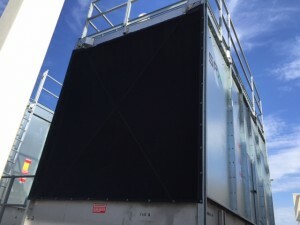 For instance, PreVent Cottonwood Screens will arrive with a choice of either high abrasion or electrostatic polypropylene air filter media, accompanied by vinyl edging as well as grommet attachments. It will be able to keep the likes of dust, cottonwood seeds, grass clippings and other kinds of environmental debris out so that whatever equipment that is being protected will continue to function at optimal running condition. With adequate protection offered by such an air filter, the different kinds of pollution and debris will be caught without negatively affecting the air intake fins. The permanent, washable synthetic fabric media will trap all kinds of airborne particulates, and there is no need to have it hooked up to an electrical connection or perform any kind of system modifications in order to install it. Several mounting options are available including new MagnaMount®, featuring a powerfully strong neodymium “earth” magnet that sticks to metal surfaces. The PreVent air filter screen can be easily installed in minutes without tools and repositioned as needed. Then there is the PreVent 3-Dimensional Bonnet or Fan Shroud for recirculating fans and Vent Cap styles that sport a flexible vinyl or elastic edging, while PreVent Model R arrives with a rigid solid steel frame which is fully customizable, enabling it to find its niche amidst the building’s equipment needs thanks to a wide array of mounting options available.